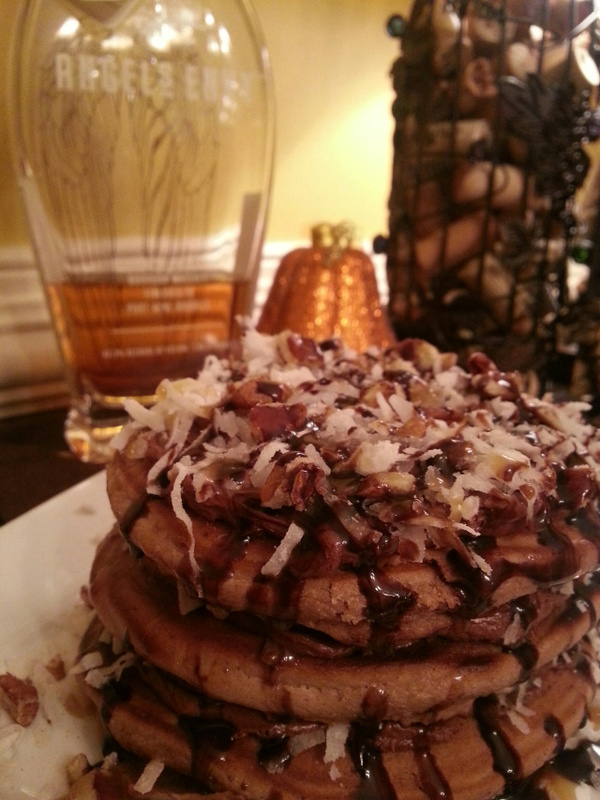 In honor of National Pancake Day, nothing can top German Chocolate with Bourbon Honey! Happy pancaking! Did ya’ll know I’ve written seven posts on how much I hate Mondays. SEVEN. That’s a whole lot of negativity. And you KNOW I’m the absolutely queen of positivity and optimism. My cup not only overflows, but could usually cause a Tsunami! That means there is something terribly wrong with this repeated horrid Monday picture. Maybe it’s all in my head.